Alligator class landing ship 150 Saratov. Photo: Yörük Işık. Used with permission. Perry class frigate 50 Taylor. Photo: Yörük Işık. Used with permission. 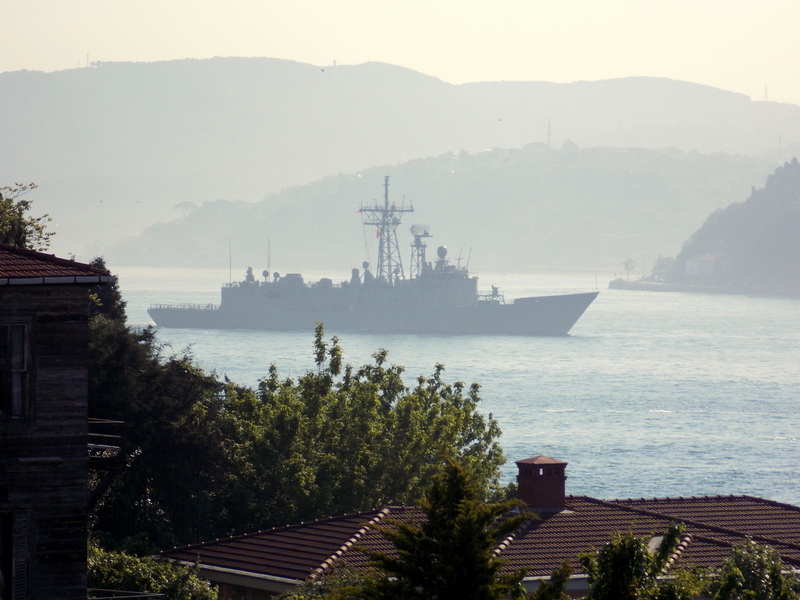 This morning we have witnessed the return of the Russian Alligator class landing ship Saratov from Mediterranean and American frigate Taylor leaving the Black Sea. Does anyone know where is french intelligence ship Dupuy de Lome? As far as I know, she left the Black Sea on 30.4.2104. Looks like she is coming back to the Black Sea. 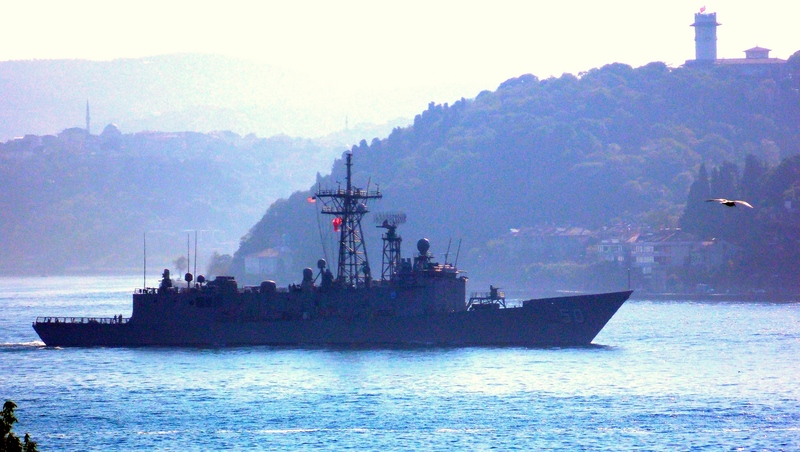 Yes she did pass through Bosphorus today. 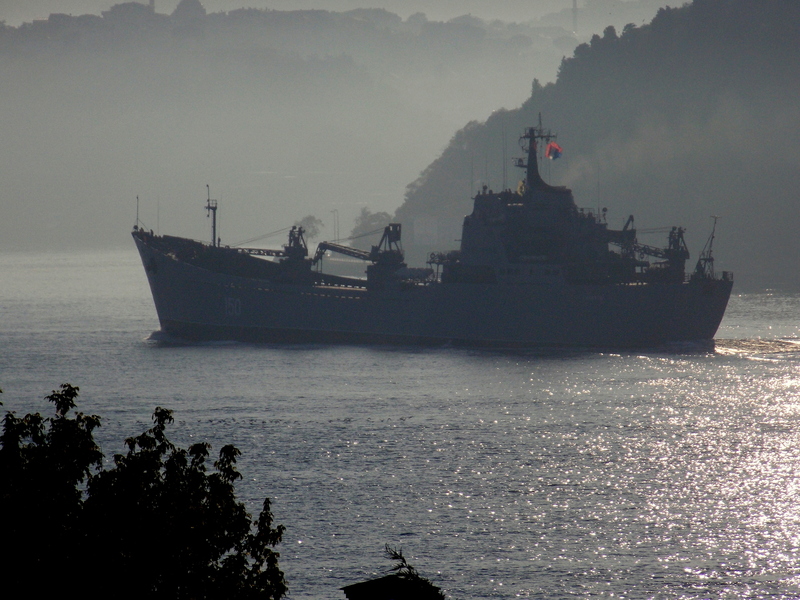 She is now back in the Black Sea. Thnx for info. Do you know the time when she passed through?